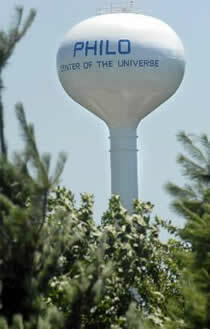 Philo, Illinois is approximately 8 miles south of Urbana, IL and the University of Illinois campus. For directions to Philo, see the map below. If you have recently moved to Philo, have questions about our community or wish to rent the R.E. Franks Center, please contact the village clerk's office by phone, email or using the contact form below. Thanks for your message! Someone from the Village of Philo Office will be in touch with you soon.